Abstract: “Sustainable” agriculture is a relative recent invention. It is a salvage operation designed to undo some of the harm of agribusiness, which nearly wiped out farming as a way of life. Sustainable agriculture tries to restore methods of farming and values that satisfy present needs for food without compromising the food for future generations. Sustainable farming, however, remains experimental and on the fringes of society and science. It includes all kinds of farming practiced by peasants, small-scale family farmers, organic farmers as well as large farmers. In what follows, I am showing, first, farming is or becomes sustainable when two things prevail: First, it is democratic, spread throughout the land in the form of family farming while the difference in size among farms is modest at best. Second, farming is sustainable when it draws its inspiration and methods not merely from the most advanced ecological science but from ancient agrarian cultures. I briefly highlight the case of ancient Greek farming as having the virtues of sustainability: that of equity and democracy. In our times, however, agribusiness and animal farming, fail the criteria of sustainability. The dust bowl of the 1930s is symbolic of the violence unleashed in rural America and the rest of the world by industrialized farming, mechanizing what used to be a way of life on the land into a factory for the extraction of profits. Industrialized agriculture found expression in large farms and agribusiness. Both of these forms of farming are incompatible with democracy. Walter Goldschmidt, an anthropologist working for the US Department of Agriculture, USDA, brought to light in the early 1940s the deleterious political effects of large farms and agribusinesses. He documented the undoing or rural America by agribusiness: When, for instance, large farms / agribusiness surrounded a town, there was a precipitous decline in the quality of life; schools, churches, stores and culture would be left to fend for themselves. The town would attract transient people, shrinking and becoming a slum-like subsidiary of the large farms (Goldschmidt 1947, 1978). USDA fired Goldschmidt and the country refused to take him seriously. The feeble attempts in the US Senate in the mid-1970s to put a break in the path of the agribusiness colossus did not go very far. USDA never ceased lavishing America’s large farmers with gold. In 1983, another researcher, Dean MacCannell, professor of rural sociology at the University of California-Davis, issued a severe warning that repeated and complemented the findings and warning of Walter Goldschmidt: Size of farms matters in agriculture. Large farms destroy rural America. MacCannell said agribusiness policies “cut against the grain of traditional American values.” His studies showed that giant farmers were becoming America’s “neo-feudal” lords who, with government assistance, were converting rural America into a Third World of poverty, injustice, exploitation and oppression. When large farms are in or near small farm communities, he says, they ruin the rural communities, sucking all life out of them: “In the place of towns which could accurately be characterized as providing their residents with clean and healthy environment, a great deal of social equality and local autonomy,” he explains, “we find agricultural pollution, labor practices that lead to increasing social inequality, restricted opportunity to obtain land and start new enterprise, and the suppression of the development of local middle class and the business and services demanded by such a class” (MacCannell 1983). In 1990, Linda Lobao of Ohio State University published the results of her sociological study on the effects of industrialized farming on rural communities. Her data came from 3,000 US counties. In 2006, Curtis Stofferahn of the University of North Dakota updated the work of Lobao. In summarizing the findings from 50 years of social science research, he reached the following conclusions: Industrialized agriculture “disrupts the social fabric of communities… poses environmental threats where livestock production is concentrated; and is likely to create a new pattern of ‘haves and have nots’” (Stofferahn 2006). The middle class has always been the heart of democracy. The most lasting of the effects of the industrialization of farming include the decline of democracy, poisoned water and food, high rates of debilitating disease and death from poisoning, monstrous malformations of the newborn, higher rates of cancer in both farmers, other rural residents, and wildlife, the drastic decline of the small white family farmers and the near disappearance of the black family farmers whose numbers dropped from 925,710 in 1920 to less than 18,000 in the year 2000. This was a catastrophic decline of 98 percent (Vallianatos 2006, pp. 197-212). USDA undermined black farmers in America. It also diminished the lives of the small white family farmers, never ceasing telling them to get big or get out. Its advice was wrong most of the times. Its science was mostly a technology of production, which it gold-plated with lavish subsidies, research, and policies designed to benefit the large farmers. Sowing pro-agribusiness seeds in rural America did bring forth the desired harvest – a few thousand giant companies and large farmers producing so much that, even with subsidies for the medium and small farmers, they sell their grains and food at prices that fail to match their costs of production. One by one, family farmers “go out of business,” leaving behind them an empty and devastated rural America. A positive development in American agriculture is the expanding frontier of organic farming, America’s contribution to sustainable agriculture. Organic or biological farmers raise food by blending traditional knowledge and ecological wisdom (Vallianatos 2006). Organic food production has been growing by at least 20 percent per year. Sales of organic products, including non-food, earned $ 1 billion in 1990 and about $ 24.6 billion in 2008 (Laux 2009). Conventional farmers either disappear or blend into the complex of agribusiness. Some of the surviving small family farmers make it as “hobby” farmers. Others have no option but becoming the modern equivalent of Medieval serfs, earning about $ 10,000 per year. Researchers politely describe them as “contract” workers, laboring for a handful of agribusiness companies. Several of those companies are meat factories that produce bacon burgers and chicken nuggets while, at the same time, they are “among the nation’s largest polluters” (Silverstein 1999). Carl Buckingham Koford, an American ecologist decried, in 1958, the barbaric habit of ranchers, farmers, and government agencies of using sodium fluoroacetate, a chemical known largely by a number, 1080, to exterminate wildlife, especially beneficial rodents. “Aside from killing prairie dogs,” Koford says, “continuous distribution of compound 1080 has had other effects on animal communities. The chemical is extremely toxic and kills other grain-eating mammals, such as cottontails. The poison is stable, even in animal tissue, so that carnivores which feed on poisoned rodents are often killed. Coyotes (Canis latrans) have nearly disappeared from the plains because of secondary poisoning. In addition, application of poison brings about a cataclysmic alteration in the relative populations of different mammals, followed by various coactions between species and changes in their effects on plants and soils” (Koford 1960, p.340). Spreading poison in dog towns was annihilation to more than the dogs that ate the poison. Just like rural towns fall apart when their family farmers go under, so does the community of wild animals around a prairie dog town go to pieces when prairie dogs get into trouble. Koford’s affection for prairie dogs was the affection of a biologist who understood nature. Rodents, he said, were a beneficial species to man. They improved the soil and checked unwanted plants and shrubs. They were food to other animals, and enlivened the scenery. What more could we expect of any animal? In addition, is it not wrong to destroy millions of small family farmers in America and Europe, and take the land away from countless millions of peasants in the Third World? And what about the slaughter and extinction of wildlife following the massive machinery and toxins of this mechanical agriculture? Rachel Carson, a biologist, denounced the massive poisonous sprays used with complete abandon in the United States. 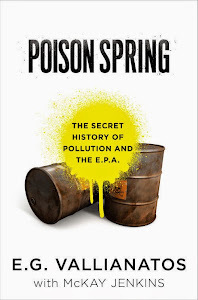 In fact, Carson was convinced toxic sprays threatened the natural world; hence she spoke about the coming of “silent spring” (Carson 1962; Shepard and McKinley 1969). Moreover, these sprays are probably responsible for many of the cancers killing millions of humans (Sherman 2000; Epstein 2005; Davis 2007). Philip Shabecoff, former reporter for the New York Times, accused the chemical industry for a “toxic assault” on America’s children (Shabecoff 2008). In addition, farms and plantations appropriate most of the world’s freshwaters (McCully 1996; Lohan 2008). The international peasant and family farmer civil society organization, Via Campesina, says that it is this giant agriculture that is pushing family farmers and peasants throughout the world to the brink of “irredeemable extinction” (Via Campesina 1996). We need to globalize the peasants’ hopes and stop the war against them. Our conflict is with those who clear the forest and “produce” cash crops. They are incapable or unwilling to understand that the roots of African hunger lie deep in the structure of the most persistent of colonial institutions in the continent—the export out of sub-Saharan Africa of plantation agricultural cash crops to the markets of Europe and North America. Such agricultural exports are bad for democracy and the land, concentrating political power in a few hands and impoverishing Africa’s traditional food and agricultural economy. Scrapping that colonial model of development—cash cropping -- for a healthier and stronger peasant economy is bound to invigorate both democracy and the raising of food for local consumption (Vallianatos 2001). A stronger peasant society is also a precondition for population control. Doubling the number of people every 25 years or so in the fashion of African countries is catastrophic to everything the peasants want: food, shelter, and security. A peasant-driven development strategy is certain to heal both the wretchedness of over-population and restore Africa to her values—give the best land of Africa back to the peasant and bring into the field and the village the fabulous biological and cultural diversity and wisdom of traditional farming. This did not happen because the powerful of the world, America and the Soviet Union / Russia, used Africa to test their theories for global hegemony. They also “domesticated” nature by breaking it apart. The Soviet Union destroyed the Aral Sea in the 1950s for the production of irrigated cotton—in one of the most dramatic and violent ecological crimes of the twentieth century. The United States ploughed up its Great Plains for the industrial production of cattle, wheat, and corn. The result of sodbusting the fragile prairies was biological warfare against millions of buffaloes and genocide against the Native American people who relied on the buffalo for their survival and culture (Stannard 1992). Moreover, farming the semiarid Great Plains brought that vast region on the verge of a cataclysm, massive dust bowls in the 1930s, the 1950s and 1970s threatening to swallow farms, machinery, crops, and people (Worster 1979). Yet the United States failed to do more than cosmetic changes in the political economy of the prairies or the policies of the country in addressing the root cause of the dust storms and desertification in the Great Plains, namely industrial ranching and one-crop factory farming in particular. In addition, the plantations of America’s Great Plains are using the ground water of the great Ogallala aquifer with abandon. The United Nations Environment Programme says that America’s Great Plains are going through “another form of desertification - groundwater depletion” (Middleton and Thomas 1997, p. 154). It’s the same cruel plantation politics all over the vast southwestern region of the United States. Agribusiness and large farmers in California and Arizona pump groundwater 10 or more times the rate nature recharges aquifers. The Colorado River—a water highway 1,400 miles long starting from the Colorado Mountains and ending in Mexico and the Sea of Cortez—is without doubt the lifeblood of the arid southwestern United States and northwestern Mexico. It brings water to about 30 million people and irrigates more than 3.7 million acres of agricultural land in both the United States and Mexico. Yet this life-giving river has to contend with an exceedingly brutal shackling of its nature and waters—no less than 29 dams capture its might and every drop of its water, which rarely reaches the Sea of Cortez (Reisner 1990). The same people who drink the entire Colorado River, particularly the practitioners of giant agriculture in arid southwestern United States, convert forested wetlands and uplands to pine forests, cotton plantations, or other cash crop farms. Such conversion of nature from ecosystems to industrial systems wipes out biodiversity and kills wildlife on both land and water. New Mexico, Texas, Louisiana, Arkansas and Oklahoma, for example, destroy 30,000 acres of wetlands and uplands every year for pine plantations alone. Huge amounts of poisons are used for the maintenance of those plantations (US EPA 1996; Dugan 1993; Wallace 1987). It’s the globalization of this model of agricultural plantation of power, camouflaged under the image of science, which threatens the world’s ecology and cultures. Millions of farmers / peasants throughout the world are repeating the experience of the industrialized or “green revolution” farmers with the result of increasing violence and agrarian wars, landlessness, and hunger (Vallianatos 1976). In addition, countless millions of acres of good land have been made into desert. The more land goes to agribusiness production or cash cropping, the more acute pressures are exerted against poor people trying to survive. Landless peasants—like those of Mexico, India or Africa—do cut down forests, and in other desperate ways, degrade the land that gives them life (Jordan 2001). Fortunately, alternatives to the anti-democratic farming exist both in the United States and in every other society in the world. These alternatives included in the tent of sustainable agriculture -- biodynamic agriculture, organic farming, community-supported agriculture, biological agriculture, peasant or ecological farming – are forms of applied biology that have nature as their primary model. They are desired biological pathways to family agriculture (Hodges 1982), which has the potential to heal some of the wounds of industrial agriculture (Horrigan, Lawrence and Walker 2002). All these methods of raising food—and the indigenous people, peasants, and small family farmers who practice them—share a respect for the land and the people who eat what they raise on that land. This means they follow ancient traditions of agrarian knowledge and practice, and some even merge that heritage with the latest in agroecological thinking about agriculture (Altieri 1995). Borrowing knowledge from our ancient traditions appeals to me because I am the son of Greek culture that formed the foundations of Western civilization. In addition, I grew up in a self-reliant peasant family. We raised all of our food: wheat, barley, lentils, olive oil, wine. We also had small flocks of sheep and goat. My ancient Greek ancestors farmed the same land my father raised our food. They worked hard. They raised food knowing fully well that they depended on the gods for their success. The Greek farmer also watched carefully the seasons, the risings and settings of the stars and the phases of the moon, all of them vital for farming. Besides, the stars and the moon and the sun were gods. Peasant farmers, not philosophers, invented democracy. Greek thinkers like Platon (c.427-347 BCE) and Aristoteles (384-322 BCE) had no doubt agriculture was at the center of Greek life. They also knew that land made Greek history, being the most important factor for the expansion of Greece outside of Greece. And inside poleis the equitable distribution of land determined the success or failure of state and society. For example, in the sixth century BCE, Athenian farmers owning excessive amounts of land enslaved farmers who owned very little amounts of land because the small farmers could not pay back their loans. Such harsh treatment brought Athens on the verge of civil war. But rather than fight battles, Athenians decided to give their government to Solon, a former archon (chief political leader) and man of integrity and trust. They asked him to end the deadlock in the countryside. Solon forgave all private and public debts and forbade Athenians to ever enslave a fellow citizen on account of debt. He stopped the export of food except for olive oil. But Solon went further than bringing some security and peace in the countryside. He encouraged fathers to teach their sons a trade and made it easier for skilled craftsmen to settle in Athens and the Athenian countryside, Attike. According to Aristoteles, Solon secured democracy in Athens by giving supreme power to the courts. In addition, he gave sovereignty to the people to elect officials and to have oversight over their activities. Officials came from the ranks of men of property (Aristoteles, Politics 1273b35 – 127411-21; Ploutarchos, Solon 24.1-2). Greeks controlled farm size, realizing how important relative equity was for the health of their democracy and society. Platon did not think it fair for any farmer to own a piece of land that was more than four times the average-sized farm (Platon, The Laws 744), which was, in most instances, about five acres or less. Some poleis ignored land equity, risking peace at home and trouble with their neighbors. Aristoteles reports the Spartans esteemed wealth. Land in Sparta was in the hands of the few, indeed, Spartan women, who indulged in all kinds of luxury, owned two-fifths of all the private land (Aristoteles, Politics 1269b12-1270a11-33). Greek states, including Sparta, did not allow the privatization of all land. Enough of the land belonged to the state for the support of the religious festivals, the sacrificial meals and the funding of the temples honoring the gods. In most instances, the Greeks enjoyed the fruits of their farming together (Burford 1993, p. 25). Next the gods were in the crops and fields of the Greeks. Demeter, sister of Zeus, the supreme of the Greek gods, was the goddess of wheat. She and her daughter, Persephone, the goddess of the spring, sent a young prince, Triptolemos, around the world teaching people the art of agriculture. Athena, daughter of Zeus, gave the Athenians the olive tree. Dionysos, son of Zeus, brought to Greece the grape vine and wine. Pan protected the flocks of sheep, goat, pigs and cattle and Artemis protected the entire natural world. Zeus was the god of thunder and rain. 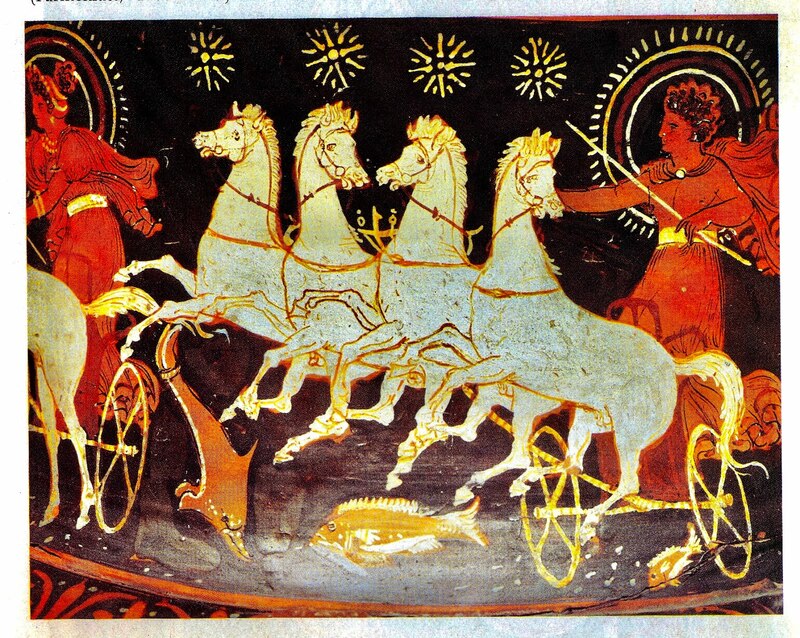 The Eleusinian mysteries was the Greeks’ greatest religious festival. It took place during the sowing of the crops so that the honored gods, Demeter and Dionysos, would bless those crops for good harvest. Just like the Greeks, indigenous people and peasants have detailed knowledge of nature. Their religion, just like the religion of ancient Greeks, is a spiritual form of farming – pleading to the gods to bring them a good harvest. Their celebrations, their fiestas, are prayers of enjoyment to their gods for their ancestors, animals, crops, harvest, the dead and the living. Indigenous people in the Philippines consider the land a gift of the gods. And land in the savannah grasslands of the Upper East region of Ghana is a sanctuary for the gods. The Dai people of southwest China protect and preserve sacred groves where they worship their gods – exactly like the ancient Greeks. The Dayak Pasir Adang people live in East Borneo, Indonesia, and practice sacred farming. If their reading of nature is auspicious, they use fire for clearing the land in order to plan their crops. They don’t destroy or burn fruit-bearing trees or ground that has the graves of their ancestors. They sow seeds of spinach, bitter brassica, corn, and cucumber. But the most sacred of seeds and agrarian traditions of the Dayak Pasir Adang people are rice seeds and their cultivation. They place the first rice seeds in holes, each with a special name – father, mother, captain, and guardian. The community sows and harvests the rice. At harvest time, men, women, and children work together. They sing and pray to the gods. The unhusked rice grains that will become the seed for the next growing season are cleaned first, and, then, the rest of the rice grains are trampled and dried in the sun for two to three days. Finally, the rice is thrown in the air, its chaff and impurities blown away. In the same tradition of sacred farming, the Mende rice peasants of southern and eastern Sierra Leone use rice varieties best adapted to the ecological conditions of their land and region. And since rice is a self-pollinating crop, the Mende peasants do the shifting and choosing of rice seeds coming their way, in the rice fields, and next door in nature. They revere their ancestors for the rice bounty they left them. But they no more feel they own the rice varieties they developed than they own the breeze. Yet they are experts in combining and selecting seeds for their way of life, which is sacred agriculture. “Maybe,” says Paul Richards, a British scholar on African traditional farming, “it makes more sense to concentrate on enriching the gene pool, leaving local talent to do the rest. Forget the Green Revolution. Treat local myths seriously. Charter a plane and scatter duplicates of the international rice gene bank collections to the four winds” (Richards 1999). Paul Richards is right. The Mende peasants are the real experts and best guardians of rice genetic diversity. The Dai’s sacred groves or Holy Hills or Nong are rich in agricultural biodiversity. The Dai peasants, and peasants in the rest of the world, use a tremendous variety of plants for food, fiber, and medicine. The ethnobotanical knowledge of several indigenous people is remarkable. The Tzeltals and the Purepechas of Mexico recognize more than 1,200 and 900 plants respectively. It was from that careful study and understanding of the workings of nature that traditional farming came into being. Crop mixtures with animals, crops grown with trees near or within a forest, make up a traditional farming system. Mixing plants and animals is good farming because, together, they fertilize the land and keep pests under control. Crop mixtures attract insect predators and parasites that keep hostile insects and weeds in check. In addition, the traditional seeds of the peasant have a greater resistance to disease. Farm animals (hogs, chicken, cattle) give the peasant milk, meat, and draft power while they eat weeds and crop residues recycling them into protein and manure for the land. The Chiapas peasants, who are fighting for survival, raise two tons of maize per hectare while the industrialized farmer next door produces six tons of maize per hectare. For this reason, the agricultural experts call the peasants backward and insist they leave the land or adopt the methods of the mechanical plantation. Yet the industrialized farmer gets nothing more from his land but the six tons of corn, though in the United States, the industrialized farmer gets more than 9 tons of corn per hectare per year. The Chiapas peasant, however, grows not merely maize but, along with maize, he raises beans, squash and pumpkins, sweet potatoes, tomatoes and other vegetables and fruits and medicinal herbs. Some of his food the peasant sells for cash and the rest is for his family, chicken, and cattle. The Chiapas peasant “easily produces more than fifteen tons of food per hectare and all without commercial fertilizers or pesticides and no assistance from banks or governments or transnational corporations" (Lutzenberger 1998). The harvest of such a sowing of traditional knowledge and practice is predictably good for civil society organizations that work with peasant or small family farmer communities, sometimes reviving and protecting their culture. Civil society organizations also make it possible for some small farmers to move away from the one-crop chemical and mechanical model of raising food. They help them return to their own agrarian traditions of planting a variety of crops at the same time, rotating forage and food crops, forest and fruit trees, rebuilding their terraces, using cover crops to smother weeds and fertilize their hillside plots, planting trees. In Peru, a pre-Columbian high-altitude farming method of raised fields (waru-waru) in the midst of water ditches was responsible for bumper crops of potatoes, quinoa, amaranth and oca (wood sorrel), better diet, better incomes, and healthier and more resilient land (National Research Council 1989). This waru-waru farming system of the Andes – with its canals for water, terraces, and raised fields – is a very productive and sophisticated method of growing food in a harsh environment. The water in the canals slowly percolates to the raised fields. That way it moderates the temperature of the land and prevents the frost from hurting the growing crops. The peasants use the silt, sediment, and organic residues in the ditches to fertilize their vegetables or crops. Raised-bed farming was a widespread agricultural practice not merely in Peru but throughout pre-Columbian Central and South America. In Mexico, raised-bed farming or chinampas had probably been invented by the Mayas and passed on to the Aztecs. When on November 8, 1519, Herman Cortes and his Spanish conquistadors entered Tenochtitlan (Mexico City), the metropolis of the Aztec empire with a population of 200,000 to 300,000 people, they came in contact with an advanced and rich indigenous culture that sustained itself from the food grown on the chinampas. One of Cortes’ soldiers, Bernal Diaz del Castillo, left us an account of the Spaniards’ destruction of the Mexican Aztec Empire of Montezuma. Despite his contempt for the Aztecs so he could justify their murder, Bernal Diaz was impressed by the Aztecs’ cities, their running water, paved streets, temples, large markets, clothing, organization, gold, silver, abundant wealth. Diaz saw the chinampas lining the waterways of Tenochtitlan and he thought he was dreaming. He assigned those gardens to emperor Montezuma; they were so beautiful, what “with their many varieties of flowers and sweet-scented trees planted in order, and their ponds and tanks of fresh water into which a stream flowed at one end and out of which it flowed at the other, and the baths he had there, and the variety of small birds that nested in the branches, and the medicinal and useful herbs that grew there. His gardens were a wonderful sight, and required many gardeners to take care of them. Everything was built of stone and plastered; baths and walks and closets and rooms like summerhouses where they danced and sang. There was so much to see in these gardens, as everywhere else, that we could not tire of contemplating his great riches and the large number of skilled Indians employed in the many crafts they practiced” (Diaz 1975, p. 231). The chinampas, exactly like the waru-waru of Peru, were agricultural islands within lakes and marshes encircled by shallow water and dense vegetation. These raised beds produced maize, beans, chilies, tomatoes and fruits in abundance. They were very productive, allowing continuous cultivation. They were round year gardens. The chinampas also were an ideal environment for fish and wildfowl and forage for animals. But the Spanish vented their hatred, jealousy and Christianity and buried both the chinampas and Aztec Mexico. In one blow the Spanish conquistadors destroyed Mexico’s prosperous and sacred agriculture (the chinampas and terrace cultivation) and Mexican culture (Redclift 1987). On their ruins they built the hacienda or large farm and manned it with the slave labor of the surviving indigenous people. Industrialized agriculture was the harvest of hacienda. When in November 1998 Hurricane Mitch devastated Honduras and northern Nicaragua, the only region of Honduras that escaped the fury of nature was around the village of Guarita close to the El Salvador border primarily because the Lenca peasants of Guarita never changed their farming way of life. The massive rain and wind of the violent storm barely touched their land since that land is solidly anchored on the hills with the roots of ancient wisdom and traditional agricultural practices. The Lenca peasants don’t slash-and-burn their hillside farms. And neither do they go for the cash cropping methods of farming taught at the colleges of Honduras in an effort to speed up the country’s modernization. Instead, they plant their crops under trees, and build terraces to prevent erosion of the land. They also avoid ploughing but use their traditional pointed stick for sowing (Gunson 1998). In the same manner, in fighting against another deadly erosion, peasants have been waging struggles of resistance in defense of their culture, and struggles of liberation from all colonizers (Grove 1990). Thus it is almost part of their nature that they create and maintain crop genetic diversity. Their seeds are not the suicide seeds of genetic engineers. The seeds of peasants are their culture—ancient, rich in variety, resilient, tasty, aromatic, dependable for the next sowing and harvest of food. Says Jonathan King, professor of molecular biology at the Massachusetts Institute of Technology, “Peasant farmers [in Asia] are struggling to maintain control over the material basis of their livelihood, the agricultural crop plant on which they depend. They are also struggling to maintain control over their culture, as represented in the knowledge of producing and using rice” (King and Stabinsky 1999, p. 86). The seeds of peasants are the backbone of plant breeding throughout the world. Some $ 200 to $ 350 million per year is needed to support gene banks for sharing, on a global basis, the peasants’ seeds. In Tehran, Iran, in August 2000, representatives of major plant breeders and biotech companies agreed to pay a portion of the annual costs for the global peasant seed bank. But in the November 12-17, 2000 international meeting in Neuchatel, Switzerland, the United States objected to the “tithing” of industry and the global negotiations for the support of the peasant seed bank collapsed. Europeans and representatives of Africa, Asia, and Latin America accused the United States for wrecking the world’s food security. “Most diplomats, most people,” an Asian diplomat said, “don’t understand how dependent the world’s food supply is on the flow of plant genetic resources [from the seeds of peasants]. This is a tempest in our rice bowl – and that’s important!” (Ribeiro 2000). The seeds of the industrial farmer have their origins in the seeds of peasants. But because their genetic structure is perpetually redesigned to meet the needs of industrialized agriculture, they are poorly adapted to nature, thus they are genetically uniform, exotic species easily attacked by insects, weeds, and diseases. They require weapons for survival—synthetic poisons and fertilizers—not exactly a replacement for the eons-tested peasant seeds. Moreover, non-industrialized family farmers and peasants practice not merely good husbandry but, just as importantly, they and their agriculture are expressions of agricultural, ecological, and biodiversity principles, social justice, democracy, and very small-scale farming on the land. In contrast to the ruthless treatment of both land and rural communities by industrialized farmers, peasants and small family farmers raise food in ways that enrich the land and create strong rural society. Peasants in particular are inseparable from seeds – agricultural genetic diversity. There is simply no alternative to healthy peasant communities. Seeds for food security survive and thrive only when peasants have been growing food for a very long time. Organic farmers in the United States are not peasants, much less indigenous people, but, to some degree, they do things like peasants and indigenous people. For instance, to a large extent, they don’t spray or use synthetic pesticides and fertilizers in growing their crops. They raise food in such a way that they maintain high levels of organic matter in the soil, which means their land is healthy, resisting erosion, capable of conserving nutrients, and absorbing and storing water. Organic farms also sequester much more carbon dioxide than conventional farms (Pimentel 2009). The significance of organic farming in the US is that it is a third party independent certification process that starts with land inspections and lab analysis for pesticides, chemicals and poisons in water, air, eggs, plants, soil, air, animals, milk, trees, anything, for a period of three years. This revolutionary process was first put into effect in the state of California with the Foods Act of 1990. This inspection process continues for a minimum of 3 years until the farm gets certification; the use of the restricted designation ‘organic’ is then granted by the State, and, since 2000, by the USDA after it became a federal law. After the 3 year period, unannounced spot inspections continue. This process is now in place in the fifty states with the 2000 Organic Foods Act. It is a model of emulation across the planet. It is as significant a step as flying an airplane that is certified and inspected vs. flying an aircraft that is not. The other significance of organic farming in America is moral and political. For the most part, organic farmers work small pieces of land and grow food without poisons, earning a very good living. This neutralizes the lies of the plantation: that we would starve without pesticides. Organic farmers and non-industrialized farmers in general all over Europe and North America and, particularly, peasants in Latin America, Asia, and Africa represent a living counterrevolution to the factory food and power path of giant agriculture. However, as we already suggested, organic farming earns about $ 25 billion a year. This money makes organic farming an attractive target for agribusiness. Big corporations are buying into organic farming big time, a clear and present danger that is becoming a threat. The same age-old ills of corporate greed and corruption, buyouts and takeovers, are stealing the moral and political gains of organic farming. Hugh Iltis, the American expert on agricultural biological diversity, said correctly we ought to pay peasants to continue to do what they do so well—protecting the natural evolution of food seeds without which agriculture would not exist (Iltis 1974). If, for instance, we could help the peasants of Africa get back to the cultivation of their enormous variety of crops—which exist in the periphery of the continent (National Research Council 1996)—it would be humanity’s greatest gift to the African people. Africans would have enough to eat, food security and food sovereignty would replace hunger, and the rest of us would know that those making the transition from cash cropping to sustainable farming could borrow seeds from Africa for expanding the narrow biological diversity of their agriculture. Our organic farmers would be the means by which we could expand the frontiers of our biological diversity and variety of our foods, making the unambiguous connection between politics, health, farming and food possible; in addition, such understanding might help each one of us make the right moral choice. That way, industrialized agriculture may fade into oblivion. Only then America’s family farming has a chance to reclaim its territory and our moral, political, and economic support. Finally, as I have suggested, agriculture was sacred to the Greeks. Xenophon, c.428-c.354 BCE, military man, historian and philosopher from Athens, put it like this: “The man who said that farming is the mother and nurse of the other arts spoke truly. When farming is successful, all the other arts prosper, but wherever the earth is forced to be barren, the other arts, both on earth and sea, are virtually extinguished” (Xenophon, Oeconomicus 5.20-24). Aristoteles, great Greek scientist and philosopher, considered nature and agriculture and all animals indispensable for human existence and culture (Aristoteles, Parts of Animals 645a). Like other virtues of Greek culture, Greek farming has the potential of inspiring those building sustainable agriculture. This ought to hit home especially in Greece that, like other modern countries, made the error of putting her food security in the agribusiness basket. Animal factories, like the remaking of crops and animals by genetic engineering, represent the worst form of industrialized agriculture. They break with that tradition. They change the world of traditional agriculture and culture into a world of injustice and terror. It’s about time to dispense with such an error and return to democratic family farming, which is a cousin of the sacred peasant farming. That agrarian tradition draws from the core values of Greek and Western civilization. Altieri, Miguel A. (1995). Agroecology: The science of sustainable agriculture. Boulder, CO: Westview Press. Aristoteles. Parts of Animals. Ed. Kaktos Philological team. Kaktos: Athens, 1994. ----- Politics. Tr. H. Rackham; Loeb, 1998. Burford, Alison. (1993). Land and Labor in the Greek World. Baltimore, MD: The Johns Hopkins University Press. Davis, Devra. (2007). The Secret History of the War on Cancer. New York: Basic Books. Diaz, Bernal. (1975). The conquest of Spain. J.M. Cohen, Tr. Penguin Books. Dugan, Patrick, Ed. (1993). Wetlands in Danger. London: Mitchell Beazley. Epstein, Samuel S. (2005). Cancer-Gate: How to Win the Losing Cancer War. Amityville, NY: Baywood Publishing. Goldschmidt, Walter. (1947, 1978). As You Sow: Three Studies in the Consequences of Agribusiness. Montclair, NJ: Allanheld, Osmun and Co.
Grove, Richard H. (1990). Colonial conservation, ecological hegemony and popular resistance: Towards a global synthesis. In Imperialism and the Natural world, John Mackenzie, Ed. Manchester, UK: Manchester University Press, pp. 15-30. Gunson, Phil. (1998). Honduran villagers survived Mitch with a method as old as the hills. The Guardian, November 23. Hodges, R.D. (1982). Agriculture and horticulture; the need for a more biological approach. Biological Agriculture and Horticulture 1, 1-13. Horrigan, Leo, Lawrence, Robert S and Walker, Polly. (2002). How sustainable agriculture can address the environmental and human health effects of industrial agriculture. Environmental Health Perspectives May, 110 (5) 445-456. Iltis, Hugh H. (1974). Freezing the genetic landscape. Maize Genetics Cooperation News Letter. Jordan, Mary. (2001). Unfamiliar turf: Saving the environment. The Washington Post December 28, pp. A1, A16. King, Jonathan and Stabinsky, Doreen. (1999). Biotechnology under globalization. Race and Class October 1998-March 1999. Koford, Carl B. (1960). The prairie dog of the North American plains and its relations with plants, soil, and land use. In Symposium: Ecology and management of wild grazing animals in temperate zones. Warsaw: International Union of Conservation of Nature: Warsaw, Poland. Laux, Marsha. (2009). Organic Food Trends Profile. Agricultural Marketing Resource Center, Iowa State University, May. Lohan, Tara. Ed. (2008). Water Consciousness; AlterNet Books: San Francisco. Lutzenberger, Jose. (1998). The absurdity of modern agriculture – from chemical fertilizers and agropoisons to biotechnology. Unpublished paper. Brazi: Fundacao Gaia. MacCannell, Dean. (1983). Agribusiness and the small community. Background paper: Technology, public policy and the changing structure of American agriculture. Congressional Office of Technology Assessment, Washington, DC. Middleton, Nick and Thomas, David. Eds. (1997). World atlas of desertification, 2nd Ed. London: Arnold. McCully, Patrick. (1996). Silenced Rivers: The Ecology and Politics of Large Dams. London: Zed Books. National Research Council. (1989). Lost crops of the Incas. Washington, DC: National Academy Press. National Research Council. (1996). Lost Crops of Africa. Washington, DC: National Academy Press. Pimentel, David and Pimentel, M. (2008). Food, Energy and Society. Third Ed. Boca Raton, FL: CRC. Pimentel, David et al. (2009). Food Versus Biofuels: Environmental and Economic Costs. Human Ecology 37: 1-12. Pimentel, David. (2009). Reducing Energy Inputs in the Agricultural Production System. Interview with Against the Grain. In Monthly Review July-August. Platon. The Laws. Tr. Trevor J. Saunders. Penguin Books, 1975. Ploutarchos. Solon. Tr. Bernadotte Perrin. Loeb, 1998. Redclift, Michael. (1987). Raised bed agriculture in pre-Columbian Central and South America: A traditional solution to the problem of ‘sustainable’ farming systems? Biological Agriculture and Horticulture, 5: 51-59. Reisner, Marc. (1986). Cadillac Desert: The American West and its Disappearing Water. Penguin Books. Ribeiro, Silvia. (2000). Seedy squabble in Switzerland. Rural Advancement Foundation International News Release. November 20. Richards, Paul. (1999). Casting seed to the four winds: A modest proposal for plant genetic diversity management. In Cultural and spiritual values of biodiversity. Darrell Addison Posey, Ed. ; London: Intermediate Technology Publications and UN Development Programme, pp. 316, 287-323, 381-382. Shabecoff, Philip and Alice. (2008). Poisoned Profits: The Toxic Assault on Our Children. New York: Random House. Shepard, Paul and McKinley, Daniel. Eds. (1969). The Subversive Science: Essays Toward an Ecology of Man. Boston: Houghton Mifflin. Sherman, Janette D. (2000). Life’s Delicate Balance: Causes and Prevention of Breast Cancer. New York: Taylor and Francis. Silverstein, Ken. (1999). Meat factories. Sierra January-February, pp. 28-35, 110-112. Stannard, David E. (1992). American Holocaust; New York: Oxford University Press. Stofferahn, C.W. (2006). Industrialized farming and its relationship to community well-being: An update of a 2000 report by Linda Lobao. Prepared for the State of North Dakota, Office of the Attorney General. For case: State of North Dakota versus Crosslands, North Dakota District Court, September, pp. 6-11, 30-32. US Environmental Protection Agency. (1990). Region 6 Comparative Risk Project Overview Report, November. Vallianatos, Evaggelos. (2001). All of Africa’s gods are weeping. Race and Class 43(1): 45-57. ----- (1976). Fear in the Countryside: The Control of Agricultural Resources in the Poor Countries by Non-Peasant Elites. Cambridge, MA: Ballinger. ----- (2006). Ill Fares the Land: Reflections on Sustainable Organic Agriculture. Biodiversity 7 (3 & 4) 79-88. ----- (2006). This Land is Their Land: How Corporate Farms Threaten the World. Monroe, ME: Common Courage Press. Via Campesina. The Tlaxcala declaration, 1996. Worster, Donald. (1979). The Dust Bowl: The Southern Plains in the 1930s. New York: Oxford University Press. Xenophon. Oeconomicus. Sarah B. Pomeroy, Ed. and tr. (1994). New York: Oxford University Press.